with diagonal forefoot trimline to facilitate natural push-off. Full heel cup for stabilization. leaves room for toes within the shoes, and can be trimmed to fine-tune the fit. Allows for addition of toe rise pad when desired. 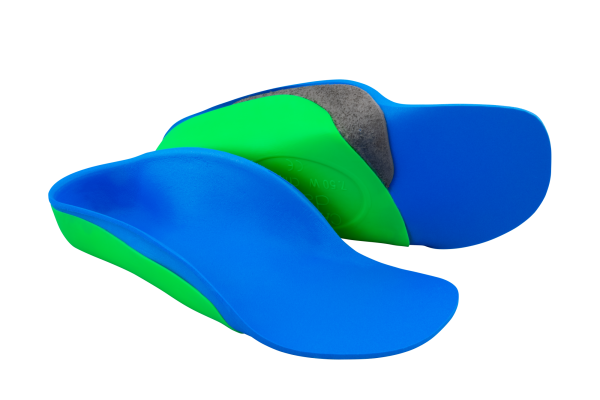 For patients who exhibit moderate pronation and have a fully correctable foot position. The patient's medial arch is reduced, forefoot is moderately abducted, and heel is everted. 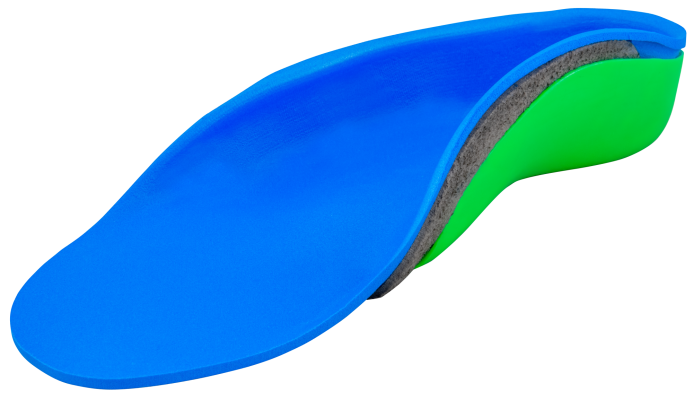 For patients who may benefit from the sensory feedback that a contoured shoe insert can provide. This product video looks at the features of both the Bug™ and the Chipmunk® UCBL style shoe inserts. This patient is wearing a UCBL-style shoe insert, the Fast Fit Chipmunk, to help control moderate low tone pronation. 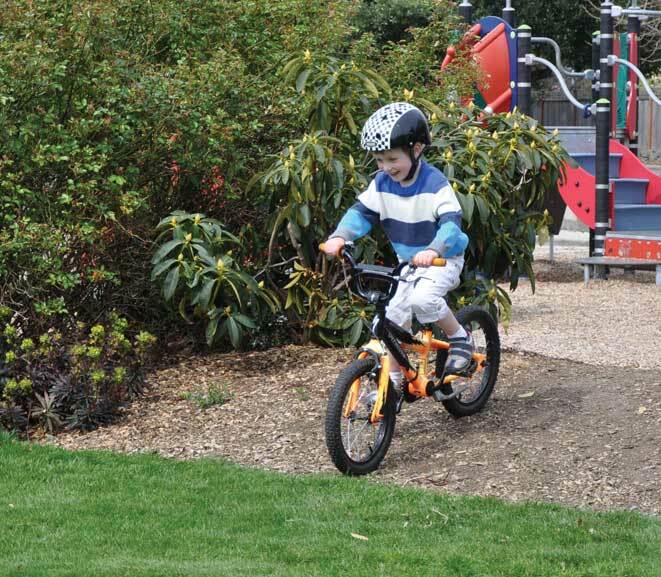 The Chipmunk is ortho-engineered to control moderate pronation of the pediatric foot with an optimal amount of support and comfort. This low-profile solution features a unique, integrated two-part system, combining internal alignment from molded foam contours with the stability of a flat external base.